Another important add on to your Discovery is to add some diff protection. The diffs themselves are pretty strong and will clear their own way in mud, how ever if you do any rocky trails or go wading when you don't know quite what's in there, you "may" come across a rock or stone etc and a good clout on the diff pan can crack or puncture it. As with any mods you can buy for the Land Rover range, there is always several options out there. 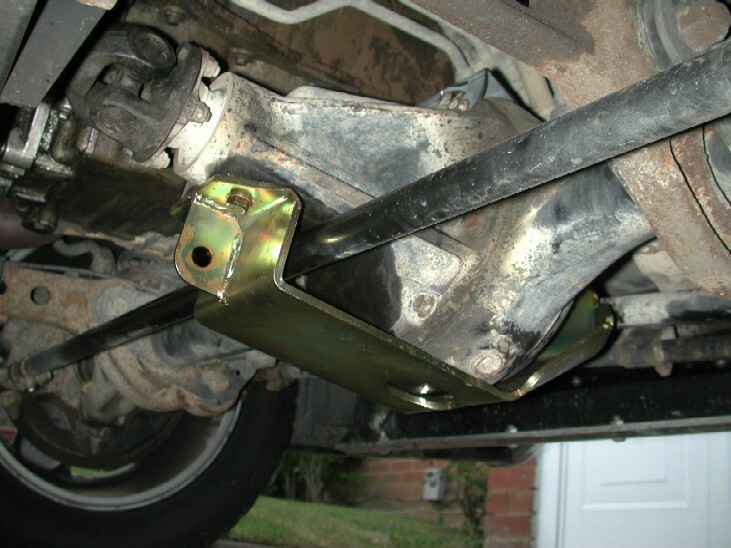 You can buy bolt on guards, weld on ones, plates that cover the whole axle etc etc. All of them have advantages and disadvantages and its down to personal choice and budget. You will hear stories for and against all the different designs, just make up your own mind and go with it !! 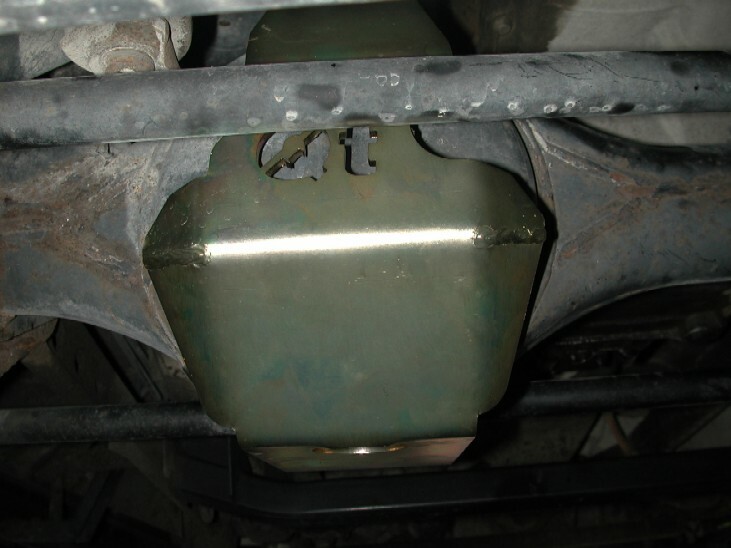 If you have already "read" the Rear Diff Guard page, then you will know I chose one made by QT Services. These guys also do a front one for the Disco 2 , how ever it bolts using to diff flange bolts like the rear diff guard, but the front of it requires 2 "lugs" welding into position on the diff case and then the guard bolts to those. I will be honest and say I did not like the idea of welding onto the diff case at all for several reasons, 1) I don't have a welder and I am very much a "newbie" when it comes to welding, and 2) I also don't know if I would have been able to trust "any" old sole to do it for me. This left me in a bit of a fix, I wanted a QT diff guard, but a complete "bolt on" solution, so I drew up some ideas and spoke to Dave Marsh at Qt services ref my idea / problem "fussy git" syndrome. He was very helpful and told me he would look into it for me and see what we could come up with. I would have had no problem in paying for a "bespoke" design for my TD5, but again after a few more conversations, The guys at Qt trial fitted a few of their "other" diff guards to see if one could be used or modified to fit my Disco2. 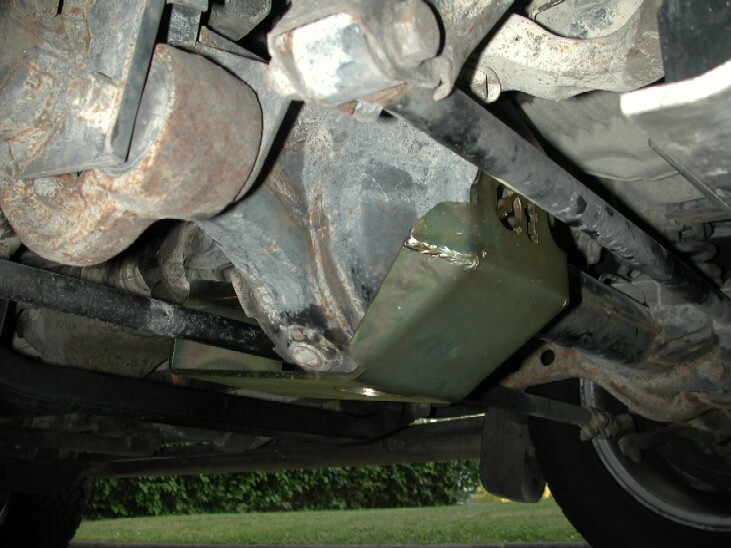 Eventually it was concluded that a Defender TD5 front diff guard, that is a fully "bolt on" should fit my Disco2, I promptly ordered one up and set about fitting it to the Disco. Again its pretty simple to do, bolt it all up loosely to aid fitting the top bracket and all the bolts, I did have to "clean" the threads out on the diff output as the holes have been "open" to the elements for along time. Below shows the Top small bracket and where it sits. And here where it mounts to the top 2 of the diff flange bolts.